The discussion over the next manager of England has been raging for months, although the fires have recently been stoked by the sudden resignation of Fabio Capello, following his comments on the John Terry captaincy issue. The main crux of the argument centres upon the question of whether the next manager should be English. In an ideal world, the manager of the England national team should be an Englishman. The players have to be English, so the manager should also be English, or so the argument goes. 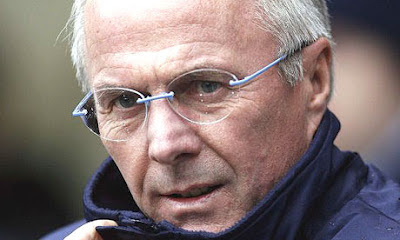 Supporters of this view point to the seeming failures of Sven Goran Eriksson and Fabio Capello to win major trophies and often a lack of passion by the two foreign managers in England’s history. Their opponents argue that England should look to appoint the best man for the job, regardless of nationality. If the best man were to be English, then all the better, but that should not be a compulsory requirement. They would point to the failure of Steve McClaren and Kevin Keegan in recent times as proof that substandard English managers simply cannot do the job to a high standard. Similarly, they would point to the fact that, statistically, Eriksson and Capello have been two of England’s best managers in history. The real reason for the mere existence of this argument is the lack of top quality English managers in the current age. Out of the current 20 managers in the Premiership, only four of them are English. With all due respect to Terry Connor, only three of them are realistic contenders for the national job – Alan Pardew, Harry Redknapp and Roy Hodgson. Add in Stuart Pearce, who has successfully led the U21 team for the past five years, and you have the entire list of potential English England managers. It is not exactly the most impressive of lists. We point to countries like Spain as having an abundance of top managers. They currently have the choice of names including Guardiola, Rafa Benitez, Vicente del Bosque, Luis Aragones, Unai Emery, Juande Ramos and Quique Sanchez Flores amongst others. 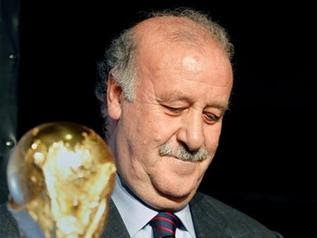 However, we forget that between 1986 and 2000, no Spanish manager won the La Liga championship. Just as we now point to the fact that no English manager has won the Premiership in its twenty year history. In England, we view a manager who receives the sack as incompetent. This is in stark contrast with Italy, long renowned for the quality and quantity of the managers that they have produced, where a manager is often likely to be considered more experienced following a sacking, rather than inept. However, what Italy has that England lacks is a dedicated managerial college. An institution set up specifically to teach the coaching and managerial skills that a prospective coach might need during his career. The likes of Fabio Capello, Giovanni Trapatonni and Marcelo Lippi amongst others have passed through its doors, and have returned to help the next generation of Italian managers. Holland employs a mandatory traineeship period, where prospective managers must serve an apprenticeship at a club. This allows them to learn the theory and fundamentals in a live setting, as well as gaining invaluable work experience under an established coach. The main issue that both fans and the media in England need to address is the ‘show us your medals’ culture. There seems to be a view that a successful player equals a successful manager. In England, the mandatory UEFA coaching badges are often ignored for the sake of rushing a former player into high-level jobs. 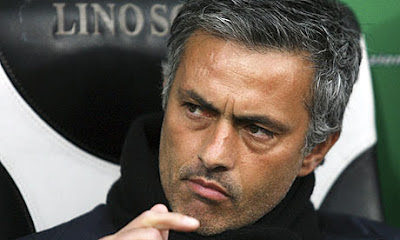 The truth is that it is relatively rare for a top-class player to become a top-class manager. Simply looking at some of the top coaches in England in the last couple of years emphasises this fact. 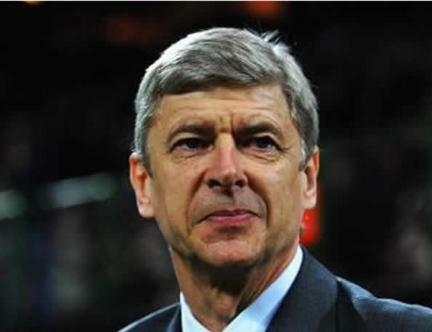 Arsene Wenger was never a top player, but is often recognised as one of the best managers in the Premiership. Similarly, Jose Mourinho made a career at the lower levels in Portugal, but is now the most sought after manager in football. His protégé, Andre Villas Boas, never played professional football at any level, but, despite his ill-fated spell at Chelsea, is still viewed as one of the most promising young manager. Even looking at the great English managers of the past, there is a recurring pattern. Ron Greenwood, Bill Nicholson, Sir Alf Ramsey and Bob Paisley all had their playing careers interrupted by World War II. Brian Clough’s promising career was cut short at a relatively early age by injury. Sir Bobby Robson had a full career, but never won any silverware. The overriding theme in all of these examples tends to be that they have a background in football, but still have everything to achieve in the game. They have no won the trophies and accolades as a player, so still have the drive to reach the top as a manager. Obviously, this is not to say that top players cannot become top managers. There are numerous examples of top quality players that have made the transition to top quality managers. However, we need to avoid the assumption that top players equal top managers. We have seen the failures of the likes of Roy Keane, Paul Ince, Gareth Southgate and Tony Adams in recent years to back this up. There is no reason that managers should expect to start with the big jobs. In the current climate, it is more difficult to climb up the ladder, but it is vital that young managers gain the experience out of the intense media spotlight that comes with managing at the top level. All the afore mentioned names began their careers at smaller club – Sir Alex Ferguson at East Sterling, Rafa Benitez at Real Valladolid, Osasuna and Extremadura, Arsene Wenger at Nancy-Lorraine and Jose Mourinho at Uniao de Leiria. The issue of English clubs importing the best managers from the continent has also been put forward as a hindrance to young aspiring English managers. The truth is that 15 of the 20 managers in the Premiership are British. However, it is the very top jobs where there is an opportunity of winning silverware that there is the issue. The lack of trophies for the majority of English managers is pointed to as the main barrier to the top jobs. In that case, maybe English managers need to start taking jobs on the continent, rather than simply whining about the lack of opportunities on offer to them in England. They could look at the example of the much-maligned Steve McClaren, who took the risk of going to Holland, where he led Twente to the Dutch title. Countries such as Holland and Belgium would be ideal starting points, providing the opportunity to gain experience challenging for silverware and competing in Europe. Steve McClaren, despite having just returned to Twente, is already being talked about for the PSV Eindhoven job – one of the most high-profile club management jobs in the country. He has had the experience of managing in the Champions League. His last spell at Twente led to the opportunity to work in Germany. He is not the only English manager to have experienced success on the continent. Sir Bobby Robson, Roy Hodgson and Terry Venables have all managed some of Europe’s biggest clubs with varying degrees of success. Finally, it would be smart to encourage players looking to get into management to go into higher education and gain some form of qualification, such as sports science or sport psychology. This provides transferable skills, as well as demonstrating some level of intelligence. Jose Mourinho has a degree in Sports Science; Rafa Benitez has a degree in Physical Education, while Arsene Wenger has degrees in Electrical Engineering and Economics. The English point to the likes of Paisley, Revie and Clough – all from a working-class background with no form of formal qualifications. However, the truth is that the game has changed since then and new and different skills are required. 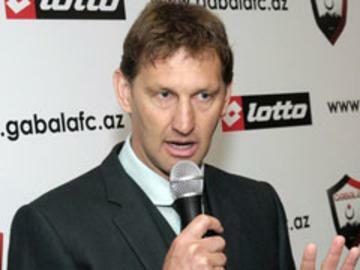 A good case study is Tony Adams. One of the greatest central defenders of his generation, he rushed into management with Wycombe, without any of the skills required. After a short-lived and unsuccessful spell, he eventually resigned. 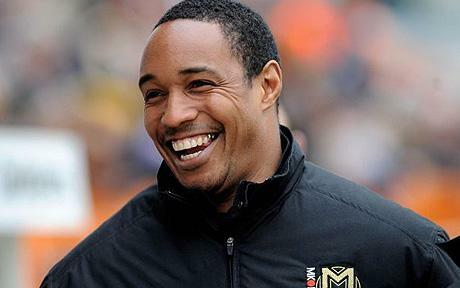 He then took a Sports Science degree at Brunel University, before undertaking a trainee coaching role with Dutch giants, Feyernoord. He worked closely with their reserves and youth sides, as well as serving a secondment at Utrecht, working with the first team there. He also did some scouting work for Arsenal while he was in Holland. He made the move back to England when he took up the role of assistant manager at Portsmouth under Harry Redknapp. Following Redknapp’s departure, he took over as manager, but was sacked after only 16 games as he fell victim to the short-term culture that has taken over the Premiership. He gained further experience abroad as he surprisingly took over the managerial role at Qabala FC in Azerbaijan, where he improved the club from top-to-bottom before resigning for personal reasons. Naturally, this career path does not necessarily mean that Tony Adams is going to be a top-class manager. Natural ability is also an inherent part of success. However, he has given himself the best possible grounding. The establishment of a managerial college, the encouragement and support for English managers to travel abroad and gain experience, and the removal of the ‘show us your medals’ culture should help to develop the next generation of English managers. In 1977, the choice was between Bobby Robson, Brian Clough and Ron Greenwood. Maybe ten or fifteen years into the future, we will again have a difficult decision for the England job between several high-profile English managers.